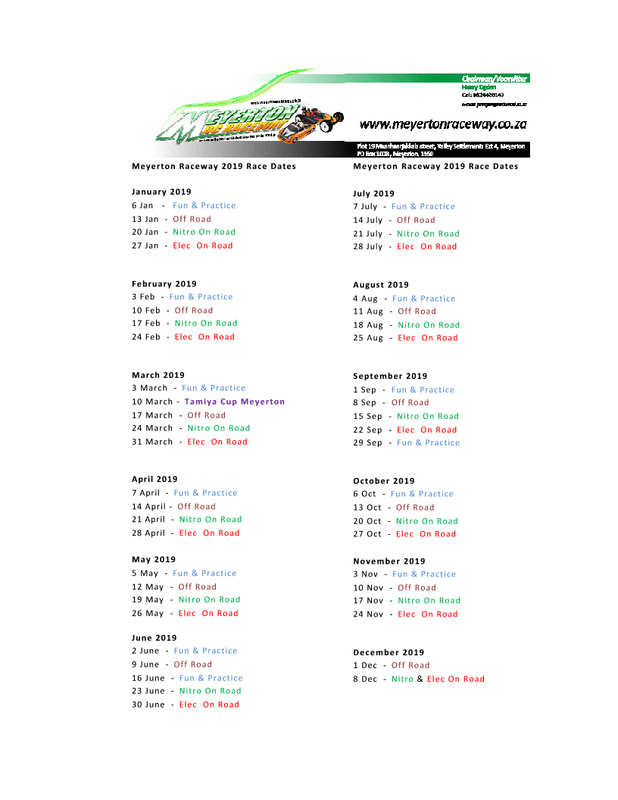 Welcome to Meyerton RC Clubs’ Website, please feel free to browse our site for upcoming events and archives of past events. A bit of background info: The founding meeting was held at the home of Henry Ogden, that is adjacent to the tracks, on December 10 th 2008. Henry is also the owner of the property. A fun day was held on the Public Holiday of September 24th, to test the interest of the community. A surpisingly large number of people showed up. The on-road track was still under construction at the time, but apparently everyone was geared up for the off-road track. The track was surrounded by cars, people, gazebo’s, umbrella’s and camping chairs. RC car lovers are known to bring along their family, friends and loved ones. 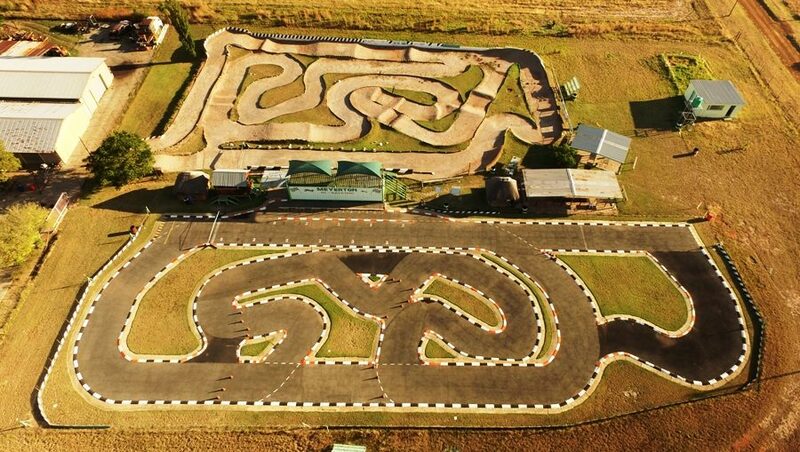 The Meyerton RC Raceway had it’s grand opening on the 16th of December 2008. However, quite a number of guys have already spent many joyful Sundays at the track for several months before that. 2010: At this stage we cater for on-road as well as off-road remote control cars. Our off road track can accommodate your nitro or electric buggy, truggy or monster truck, in 1/8th or 1/10th scale. Our on-road track will accommodate your electric or nitro 1/10th scale cars and we are now (2010) promoting 1/8th and 1/7th scale cars to our visitors. It seems that the interest is growing in this categoty.